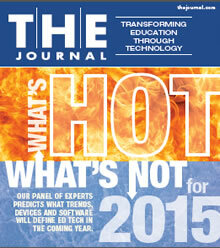 Our panel of experts predicts what trends, devices and software will define ed tech in the coming year. We asked a young innovator, a futurist and the CEO of the One-to-One Institute to imagine what students will be using for learning one day. Here are their predictions, from the fantastical to the practical. These websites and books can guide districts in developing a comprehensive acceptable use policy that will give students the tools they need to succeed in school and beyond.